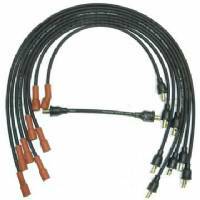 Date-Coded Spark Plug Wire Set for 1965 B-Body & C-Body 361, 383 & 426 V8 Engines, Date-Coded 1st Qtr 1965 (1-65). 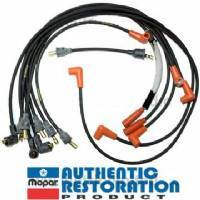 Mopar Authentic Restoration Product - all wires are stamped with date code (same as OEM wires); illustration shown may not show date codes, and is for display purposes only. 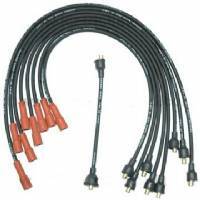 Date-Coded Spark Plug Wire Set for 1965 B-Body & C-Body 361, 383 & 426 V8 Engines, Date-Coded 3rd Qtr 1964 (3-64). 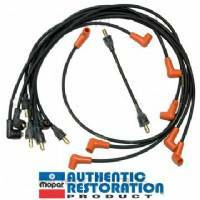 Mopar Authentic Restoration Product - all wires are stamped with date code (same as OEM wires); illustration shown may not show date codes, and is for display purposes only. Date-Coded Spark Plug Wire Set for 1966 B-Body & C-Body 318 Engine, Date-Coded 1st Qtr 1966 (1-66). Mopar Authentic Restoration Product - all wires are stamped with date code (same as OEM wires); illustration shown may not show date codes, and is for display purposes only. Date-Coded Spark Plug Wire Set for 1966 B-Body & C-Body 318 ENGINE, Date-Coded 3rd Qtr 1965 (3-65). Mopar Authentic Restoration Product - all wires are stamped with date code (same as OEM wires); illustration shown may not show date codes, and is for display purposes only. 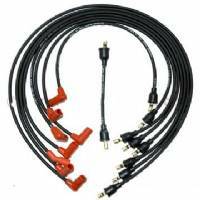 Date-Coded Spark Plug Wire Set for 1966 B-Body & C-Body 361 & 383 V8 Engines, Date-Coded 1st Qtr 1966 (1-66). 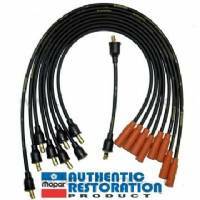 Mopar Authentic Restoration Product - all wires are stamped with date code (same as OEM wires); illustration shown may not show date codes, and is for display purposes only. Date-Coded Spark Plug Wire Set for 1966 B-Body & C-Body 361 & 383 V8 Engines, Date-Coded 3rd Qtr 1965 (3-65). Mopar Authentic Restoration Product - all wires are stamped with date code (same as OEM wires); illustration shown may not show date codes, and is for display purposes only. 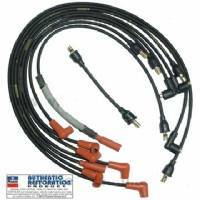 Date-Coded Spark Plug Wire Set for 1966 B-Body 426 Hemi Engines (all street versions), Date-Coded 1st Qtr 1966 (1-66). Mopar Authentic Restoration Product - all wires are stamped with date code (same as OEM wires); illustration shown may not show date codes, and is for display purposes only. 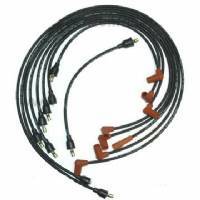 Date-Coded Spark Plug Wire Set for 1966 B-Body 426 Hemi Engine (all street versions), Date-Coded 3rd Qtr 1965 (3-65). 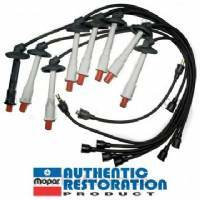 Mopar Authentic Restoration Product - all wires are stamped with date code (same as OEM wires); illustration shown may not show date codes, and is for display purposes only.